Join today as a new distributor for only $39 and receive wholesale prices on all Xocai healthy chocolate products. One Case contains 3 Cannisters, each 10 oz. Xocai Sipping Chocolate healthy hot chocolate mix was inspired by centuries of European tradition and infused with high-antioxidant and flavonoid-rich chocolate. The Xocai Sipping Chocolate healthy hot chocolate mix is the ultimate chocolate experience. Xocai Sipping Chocolate healthy hot chocolate mix is to the chocolate lover what espresso is to the coffee connoisseur. Xocai Sipping Chocolate healthy hot chocolate mix is a "seasonal" product and will make an "excellent" healthy holiday gift. Each serving of Xocai Sipping Chocolate healthy hot chocolate mix has an incredible 9,268 ORAC value and 1,045 mg of flavanoids! 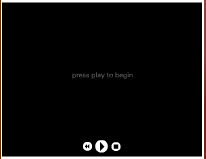 The ORAC and flavanoid values of Xocai Sipping Chocolate healthy hot chocolate mix was established by Brunswick Labs based on tests of the Xocai Sipping Chocolate healthy hot chocolate mixed per the instructions. Recent studies on cacao have concluded that best results were obtained by consuming daily 600-900mg of Total Flavonoids, plant- based antioxidants that help the body’s cells resist damage by free radicals. The Xocai Sipping Chocolate has an astounding 1,045mg of Total Flavonoids per serving (28g). While you're here... Visit these Xocai Sipping Chocolate Healthy Chocolate Partner Sites! Got Xocai Sipping Chocolate Healthy Hot Chocolate Questions? 3/4 cup more steamed milk (or boiled water). Stir well. Sweeten, if desired. Enjoy! experience. 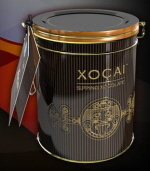 Xocai Sipping Chocolate will be to the chocolate lover what espresso is to the coffee connoisseur. opportunity for an abundant life through our Xocai Sipping Chocolate Healthy Hot Chocolate mix. Belgian Chocolate Cocoa Mass, Antioxidant Blend [Natural Cocoa, Acai, and Blueberry Powders], Raw Cane Juice Crystals, Soy Lecithin. May contain peanuts, tree nuts, and/or wheat. Dark chocolate may contain milk protein. Sign up for a monthly AutoShip and receive discounts on all Xocai healthy chocolate products.